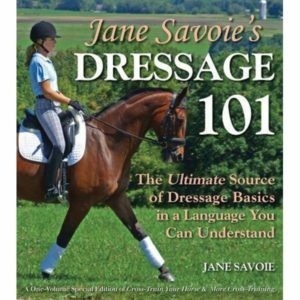 The Ultimate Source of Dressage Basics in a Language You Can Understand. Beginning with the three golden rules of dressage training clarity, consistency, and kindness. DRESSAGE 101 walks you through four stages of dressage education. Stage One is an introductory course in the basics, and Stage Two covers the nuts and bolts of training, including transitions, school figures, and movements. 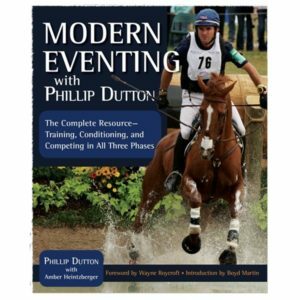 By the time you finish Stage Two, youll have a happy, responsive horse that understands going forward and being straight; accepts contact so you can communicate with him through the reins; moves in a regular rhythm and a steady tempo in all three gaits; and can do transitions, circles, and turns, back up, lengthen his stride, and go sideways. In Stage Three, Jane translates the secrets surrounding the half-halt, enabling you to put your horse on the bit, and adding a whole new dimension to your training. 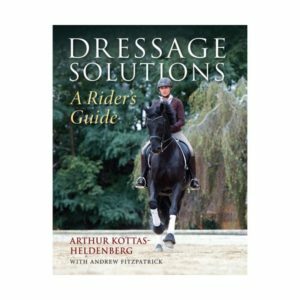 Following on from the highly acclaimed Kottas on Dressage, this new book by one of the foremost exponents of Classical dressage offers advice on the correct way to introduce work on the paces, exercises and movements, together with in-depth analysis of common problems and ways to correct them. The need to consider various aspects of conformation is also stressed – not all horses are perfect specimens, and the overall training of any horse will be enhanced if due consideration is given to individual characteristics.